AMC’s “Breaking Bad” spin-off “Better Call Saul” opens with a “cook.” It opens with a man going about a daily routine that he doesn’t want to do, working with his hands to create product for an employer. I won’t exactly spoil who or where but my cynical concerns that this effort would forever take up residence in the shadow of one of the best dramas of the last decade were alleviated almost immediately. And, over the course of the next three episodes (two air on back-to-back nights on 2/8 & 9, with the show regularly airing on Monday nights thereafter), all of my pessimism dissipated. “Better Call Saul” is not only a great show in the context of the program that birthed it into existence, but would be a great show with or without Walter White. It is thematically consistent with “Breaking Bad”—again, a good man sees a door open to a dangerous world and steps through it—but it is also cinematically directed, confidently acted, and thoroughly entertaining in its own right. “Breaking Bad” fans will lose their minds drawing connections to their favorite show, but perhaps this program’s greatest accomplishment is in how quickly I was sucked into its world and forgot about the one that preceded it. One of the stunning elements of the narrative of “Breaking Bad” was how much of it relied on what came before. Actions had repercussions. Whether it was the horrendous meth cook that resulted in a bloody bathtub in season one or Jane’s death in season two—nothing happened in a vacuum. Given Saul’s sometimes-role as comic relief in the original series, I was concerned the spin-off wouldn’t have this same narrative consistency. It very much does. One senses that the stones thrown in these first two episodes will ripple for seasons. McGill spends his days hustling, looking for clients, looking for payment, looking for something. Odenkirk, who was good on “Breaking Bad” and really upped his game on “Fargo,” is phenomenal here. He has just the right undercurrents of melancholy and desperation under the wheeling and dealing. Like Walter White, Saul/Jimmy is a man who is constantly stepping in quicksand. He gets one foot out and the other starts to sink. There’s a crucial moment in the second episode in which Jimmy is at the mercy of two violent men, one who tortures him when he lies and one who tortures him when he tells the truth—no wonder he becomes a man who lives in between. And yet Odenkirk doesn’t betray Jimmy’s pride. He’s not a typical, amoral legal scumbag. Even more than Walter, he’s in a system that constantly puts up roadblocks for him and he has to find his way around them. 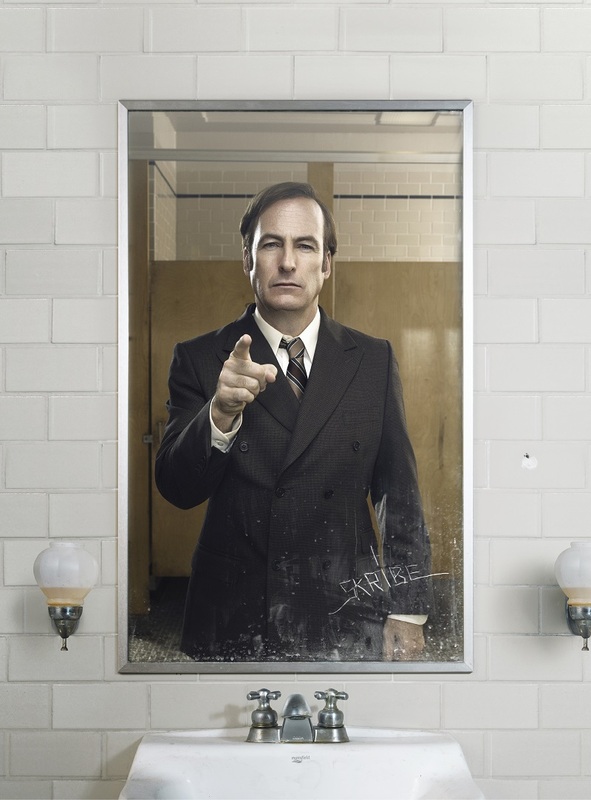 My expectations for “Better Call Saul” once lay somewhere between worry and dread. Spin-offs of great shows hardly ever work, and “Breaking Bad” is such a near-perfect drama that I was naturally concerned that its legacy could be tarnished by a misfire. Worry no more.